Welcome to another edition of our newsletter. 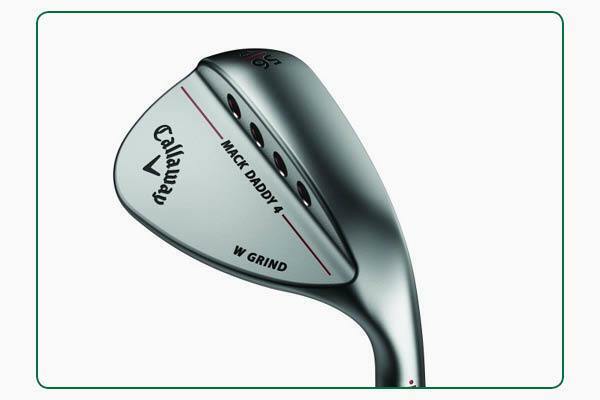 In this week’s mail we take a look at some fantastic products sitting in-store, we review Koepka's brilliant win at the PGA Championship, and we explore just how often you use your wedges. We’ve partnered with some of golf’s biggest brands to give you the chance to win one of several fantastic prizes in our giant giveaway. From a custom fitted driver to a brand new laser rangefinder to a Padraig Harrington signed flag from his Open Championship victory in 2007, we have plenty of prizes up for grabs. In this week's video of the week I'll be demonstrating how to hit the ball then hitting the turf. 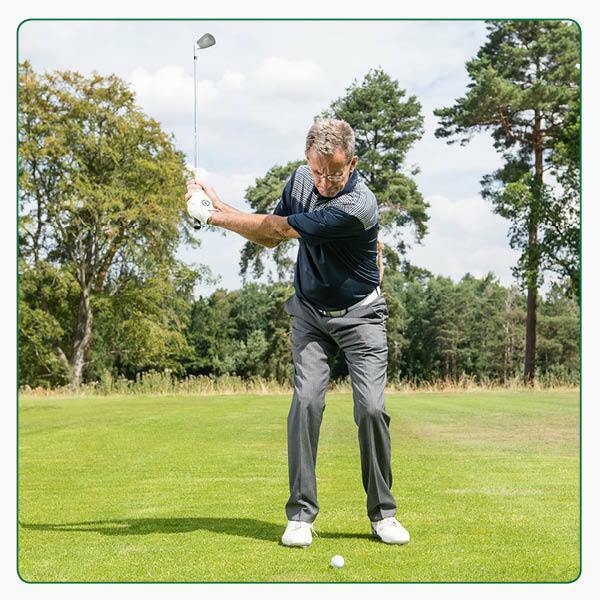 If you tend to hit the ground behind the ball and would like to know how to make better contact with the golf ball, then this video will help you. If you're still struggling after watching this video, then get yourself booked in with a lesson with myself. 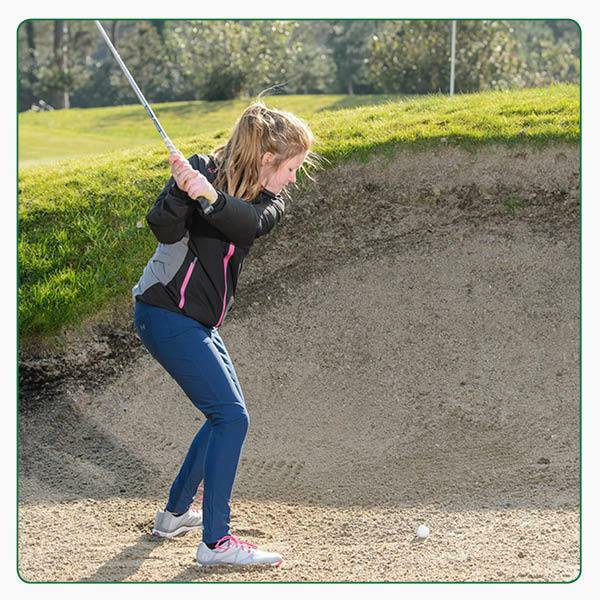 To book a lesson you can either give me a call on 01227 462865 or click here. If you haven't bought a golf-specific polo in a few years, you are missing out. You might think that any old shirt will do, but today's garments are packed full of technology that is lightweight and breathable; a delightful combination for the summer. If you're still to be persuaded, bring in any old shirt and we will give you £10 OFF selected ones in-store. Click here to explore our range. What a few years the big-hitting American is having. Since making his debut in the 2016 Ryder Cup, where he won three out of a possible four points, Brooks has secured three Major championships, including back-to-back U.S. Opens and last week’s PGA Championship. Koepka took a two-shot lead into Sunday’s final round and couldn’t have dreamt for a better start; booming a 325-yard drive down the fairway before hitting his approach to six-foot for an opening birdie. A little wobble in the middle of his front nine was quickly addressed with birdies on seven, eight and nine, at which point a certain Tiger Woods was making a charge. But Koepka showed his quality by shooting a flawless two-under-par back nine, holding off challenges from Woods, Scott and Thomas to claim his third Major title in his last six Major starts. There’s always a real buzz surrounding golf's four biggest events, especially in a Ryder Cup year as we eagerly watch on to see who’ll make the respective teams come September, but Tiger’s challenge in last month’s Open Championship and last week’s PGA Championship has got golf back on the front pages once again. Maybe, just maybe, we're beginning to see Tiger getting back to his incredible best, which can only be a positive for the sport. We are faced with a whole range of scenarios out on the course, some of which we practice regularly and others that we don’t. When you consider the different types of shots you hit around the greens, it really does highlight how versatile your wedges need to be. We ask a lot from our wedges, from opening up the face to hit high lob/flop shots to moving the ball back in our stance to play low flying pitches and everything in between. 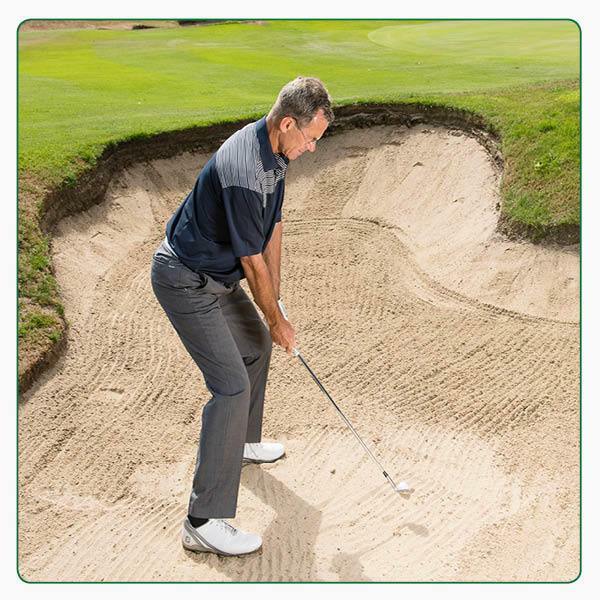 It’s therefore obvious that you should be playing something you’re comfortable with from any spot around the greens. 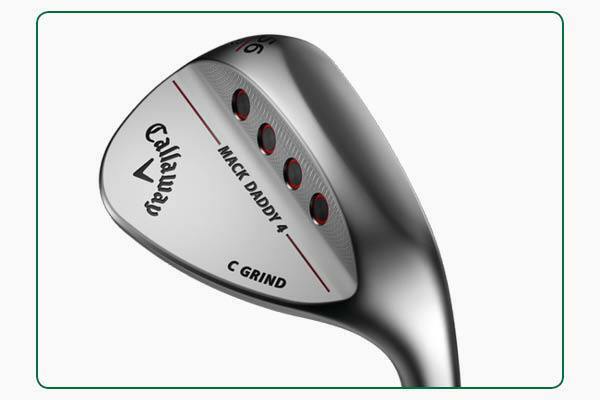 If you’re yet to find that wedge, come and try the Callaway Mack Daddy 4 here in the shop. It comes in lots of lofts so we can discuss your wedge make up, plus we can test the different sole grinds to see which ones best suit the shots you like to play. It’s great to have options. 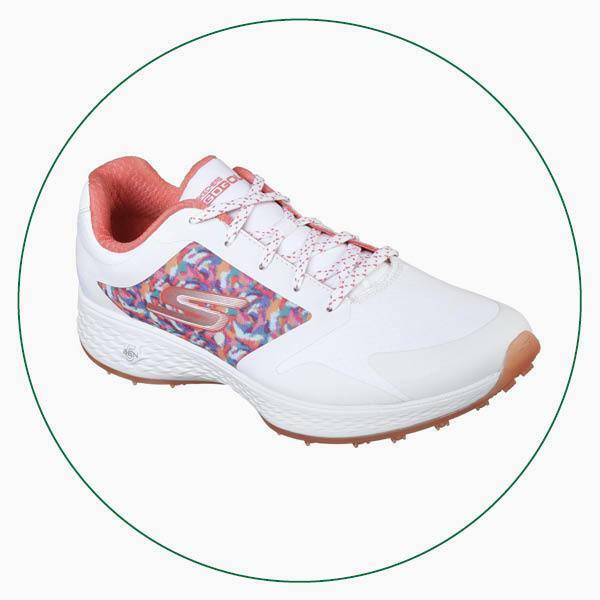 Whether you’re the type of golfer who wants a different pair of shoes to go with each outfit or simply want to have something different from your regular playing partners, Skechers’ ladies range has several options for you to choose from. 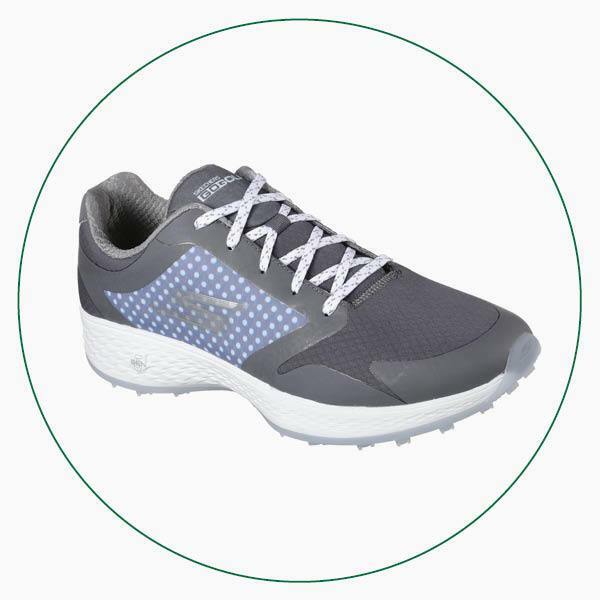 The current Skechers ladies range offers a great selection of sporty and classic shoes. 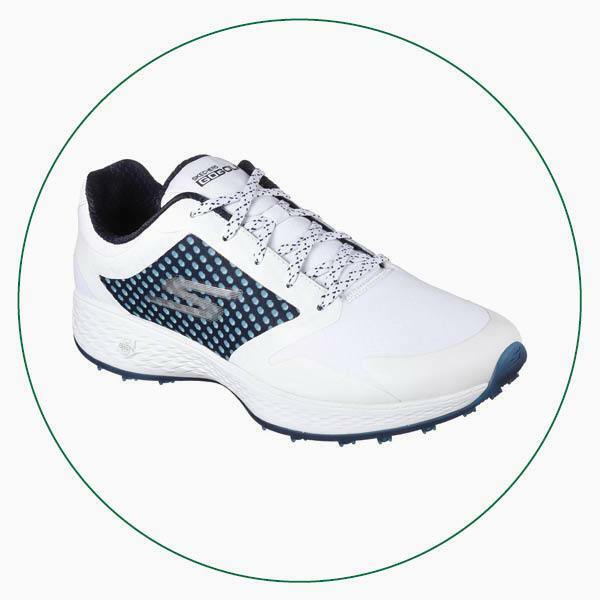 As you can see above, the Skechers GO GOLF Eagle Lead comes in several stylish colours and offers a lightweight and water-resistant option that you can wear on the course and beyond. Always trying to raise the bar on previous models isn’t an easy job, but it’s for this reason that technology has advanced considerably in the past few years. 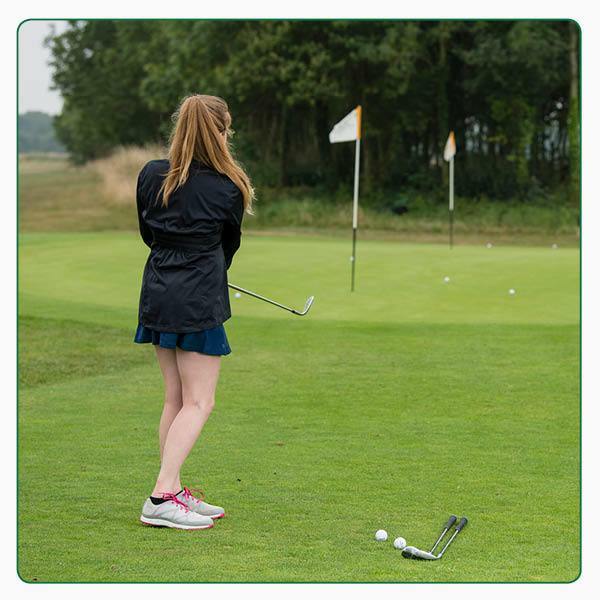 It means we’ve never been in a better position to help you enjoy your golf, from drivers right through to shoes. 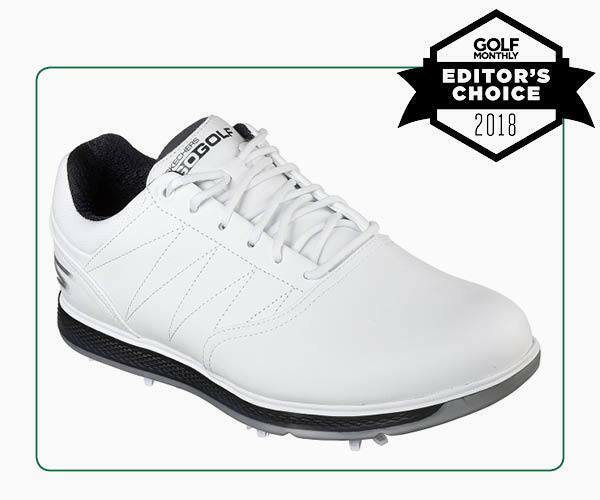 This award-winning Skechers GO GOLF Pro V3 shoe has been recognised for its affordability, style and lightweight comfort. 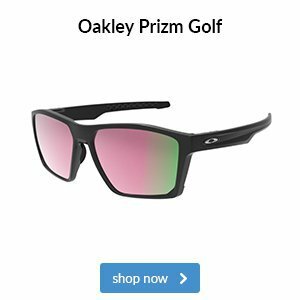 If you try these on you’ll immediately notice the cushioned Resamax insoles, as well as Skechers’ 5-Gen lightweight and responsive cushioning. There are also leather uppers and an air-mesh lining for breathability that you’ll enjoy. We think it’s obvious why this shoe was selected as one of the best of the year, but to see if you agree, drop by the store.